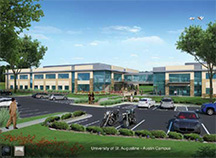 The University of St. Augustine is excited that our newest campus location in Austin, TX will begin classes in August 2012. Sawtooth Development Group who also built our San Marcos, CA campus location has been working with USA to create an innovative and technologically rich environment for students. Adding these enhancements can benefit our students and help them get the most out of their education at USA. 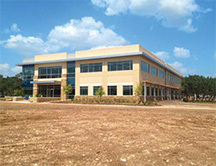 How does the Austin campus compare to the first USA campus you designed in San Marcos? The significant difference between the San Marcos and the Austin campus designs was that I had to fit the campus needs into a previously designed, approved site and building exterior, whereas we had a clean slate in Austin. San Marcos was more an outside-in design, working with existing constraints. Austin was an inside-out approach, where the interior spaces dictated the shape and design of the exterior. 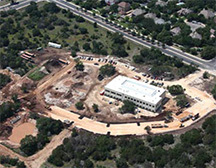 What new and improved features will the Austin campus have to look forward to? 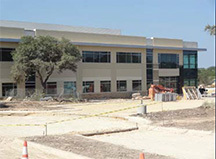 With the Austin campus, I had the knowledge of my tour of the St. Augustine campus as well as the design and implementation of the San Marcos campus. Those experiences led to what should be a new and improved campus. 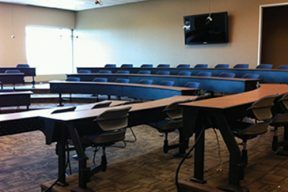 A few of the improved features include: a student centered lab with “connected tables” and digital surround technology, group collaboration rooms, a separate computer lab, a tiered amphitheater style classroom, built-in video conferencing in the conference room and amphitheater classroom. One of the small improvements the students should like are the drinking fountains with water bottle filling stations. The significant feature in Austin is space. The campus is on 27 acres. 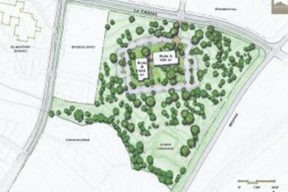 What are you most excited about with the development of the Austin, TX campus? I am most excited about the next generation campus. Call it St. Augustine 3.0. I learn from each design; what works, what doesn’t and what needs improving. Hopefully the lessons learned will result in the best environment to teach and learn in. I am also excited about the new technologies added to the campus. In Austin we are introducing several new classroom space concepts. One is an auditorium, tiered seating concept that will also serve as a large meeting space equipped with high definition web conferencing facilities and ergonomic seating. Another new space design will be in the dry lab where we will be using a collaborative learning design which features interactive student tables spaced in a circular design with access to document cameras, lecture capture and collaborative work stations. It is expected that the learning activities in this classroom will be student-centered with emphasis on student-driven learning technologies including mobile apps, student use of video and document cameras, lecture capture with recording and sharing capabilities. Some educators refer to this as “flipping the classroom,” where students meet in a workshop-type environment and interact with one another in hands-on activities using technology as a tool to engage students in the learning process. Additionally collaborative learning spaces/study rooms have been designed so that students can work in small groups, with use of projection laptops and think walls (covered in whiteboard material). Conferencing spaces have been designed to enhance the “meeting at a distance” concept using quality lighting, high definition displays and cameras. How will these technologies enhance student learning? The technologies, design of spaces and other uses of media are only small parts to the puzzle. The enhanced learning will come with creative teaching strategies and instructional design that utilizes the technologies in a manner that engages students in the learning process. Several key faculty members and consultants have been involved to conceptualize how these teaching spaces can be utilized. The models created will be shared with faculty members across all campuses. With implementation will also come an opportunity to study the learning that takes place in these classrooms, and to compare the student outcomes to other courses and programs. Faculty from all campuses will have the opportunity to participate. 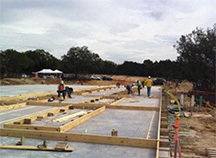 What are you move excited about on the development of the Austin campus? I am most excited about the teamwork that went into designing these projects—members of the team have included educators, administrators, an architect, an educational technologist, an A/V engineer and various vendors. It’s exciting to know that so many people put their efforts towards building innovative classrooms and student-centered teaching methodologies. Is there any further notable aspects you would like to comment on? Some of our objectives when we started these projects included: -Utilize technology to create “nextgen” learning spaces with attention to collaboration and student engagement. -Engage a team approach that includes: building developer and architect, Mediatech design expert, Dell Connected Classroom personnel, IT, educational technology specialist, administration and faculty to develop and implement a high-tech/high-impact learning space. 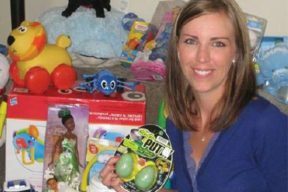 -Design a pilot classroom space that would facilitate students being active in the learning process. -Consider evidence-based approaches to classroom design and explore theoretical frameworks to support the teaching process. -Provide an area where new student centered approaches in education can be evaluated by all stakeholders. To learn more about our newest campus location, visit our website at www.usa.edu or our Facebook page at www.facebook.com/uofstaug.